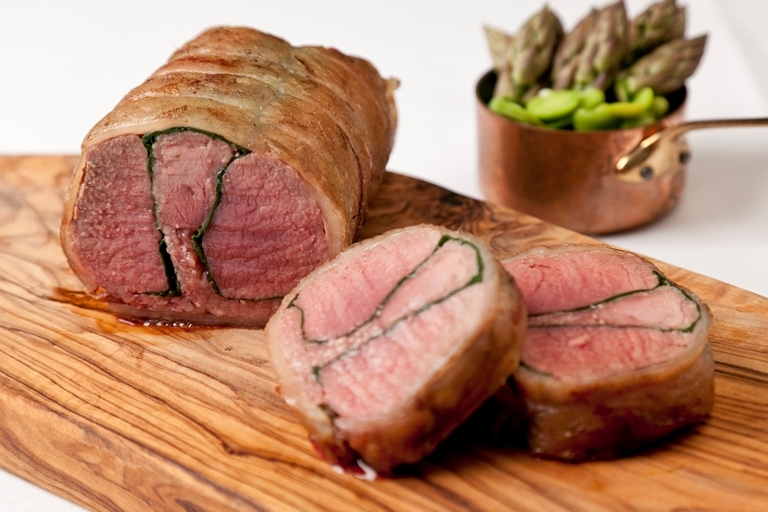 Galton Blackiston's roast saddle of lamb recipe exemplifies how careful butchery and preparation can pay off in bounds, creating a dish that is full of flavour without using too many outlandish ingredients. The thin layer of fat used to wrap up the saddle helps to infuse the loins and fillets with flavour from the outside, while the black pudding seasons the meat from the inside. Serve with homemade pesto or choose from our delicious side dishes.